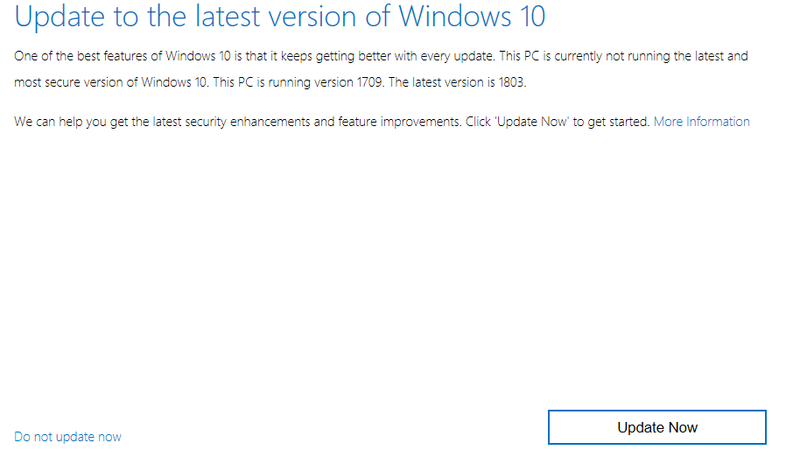 Windows 10 April Update (version 1803) has finally arrived, but with a new update, it also means potential new problems, and in this guide, we'll help you to resolve common issues and errors during and after the installation. Updated. A durat ceva timp, plus cateva intrebari enervante. La mine nu s-a instalat din cauza de ceva device driver. Cred ca tu nu i-ai dat restart.